Op-ed: Using tough diplomacy to achieve important American objectives, while at the same time calling out hypocrisy at the UN, Nikki Haley is leaving on a high note. But with Trump alienating allies, Haley’s successor will face the challenge of ensuring the US remains a respected leader in the world. A US ambassador to the United Nations faces a difficult assignment: How to maximize US interests by working with other nations in an important global forum, and at the same time, to be a critic, or a reformer, of a dysfunctional institution. 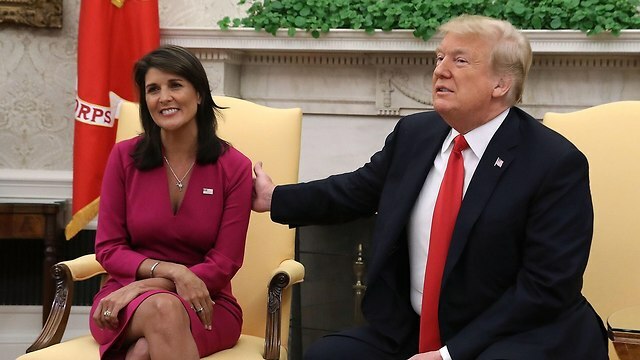 Nikki Haley has handled the challenge well. On the one hand, she developed relationships and used tough diplomacy to achieve important American objectives, like strengthening sanctions on North Korea, which required Russia and China to agree. In that regard, she borrowed tools from predecessors like Madeleine Albright, Richard Holbrooke, and Susan Rice. On the other hand, she has been vocal in calling out the hypocrisy that is often heard at the United Nations, and has strongly demanded reforms in the bloated bureaucracy. In this way, she recalls the work of predecessors like Daniel Patrick Moynihan and Jean Kirkpatrick. Of course, for Israelis, she is most appreciated for her strong defense of Israel against the unfair, one-sided criticism Israel so often receives at the United Nations. That is not a new policy. All American Administrations have worked hard to protect Israel at the United Nations (even though many, like the Obama Administration in December 2016, have also occasionally expressed differences). But Nikki Haley was especially forthright in her defense of Israel, and she deserves praise for it. Whether her support for cutting all aid to Palestinians will serve Israel’s interests, or contribute to security challenges Israel will have to manage, remains to be seen. But she was right to highlight the way UNRWA perpetuates the myth that millions of Palestinian refugees and their descendants will return to Israel. There is much speculation about the timing of Haley’s departure. I do not think it is complicated. There is a clear understanding that her ambition is to run for president. She won’t run against Trump, so that means 2024. By leaving now, she maintains her excellent reputation, which she has bolstered with national security credentials. She has avoided being pulled into the major Trump scandals and investigations, which will probably get worse in the next year. She announced her resignation before the mid-term elections, so she leaves on good terms with Trump and without appearing to abandon the administration because of a poor showing in November. She now has an opportunity to write a book, give some speeches, become a television commentator, make some money in the private sector, and help Republican candidates. All of that helps her get ready to run for president, which starts in only four years. 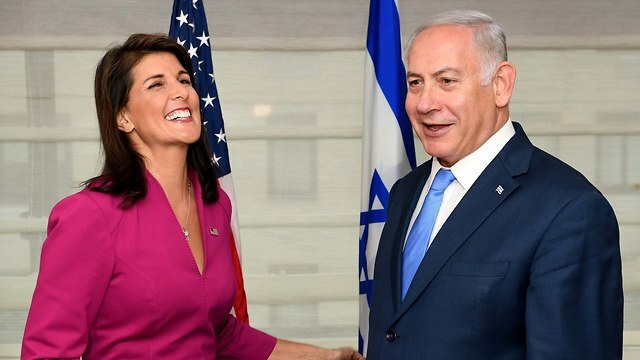 It is understandable that Israelis are sorry to see Haley go. Her support for Israel has been impressive. But the overall foreign policy of the Trump Administration is more complex. A story that Shimon Peres used to tell illustrates why. Ben Gurion’s point was, when the United States is strong and united and respected as a leader in the world, Israel benefits. But these days, the United States is estranged from many of its closest allies. Trump’s attacks on NATO, his withdrawal from the Paris climate agreement, and his praise for dictators like Vladimir Putin and Kim Jong-un, make many countries less confident in American leadership. A recent international survey by the Pew Research Center shows that ratings of trust in the United States under Trump in Germany, the UK, Australia, Canada, and Japan are down 30, 40, even 50 points. Putin and China’s Xi Jingpeng are more trusted than Trump. Worse, Americans are more divided than ever, with a president who demonizes immigrants and minority groups, and treats political opponents as enemies. Even Israelis who support Trump’s move of the US Embassy to Jerusalem, agreed on the decision to withdraw from the Iran nuclear deal, and deeply appreciate Haley’s support, sometimes say to me, “We appreciate what Trump has done for Israel, but we worry about what he is doing to the United States.” Like many others, they don’t recognize this America, and they worry that its internal divisions will weaken the US role as the global leader. That will be the main challenge for Haley’s successor: how to ensure that the United States remains respected as the leader everywhere. Israel will benefit if it is. But the new ambassador will need a new approach from President Trump, at home and abroad, to make that possible.